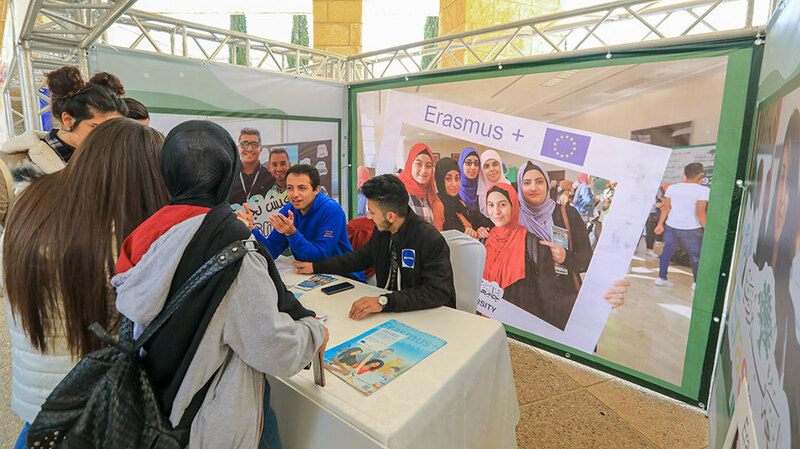 Birzeit University is preparing to host academics and representatives of various universities from around the world for a series of events, seminars, and discussions of international cooperation, the Erasmus Plus framework, and student- and faculty exchange and training programs, to take place from March 25 to 29, 2019, on the university’s campus. Titled “International Staff Training Week,” the string of events and symposia, organized by the External Academic Relations Office, will focus on bolstering connections between Birzeit University and international higher education institutions such as Middlesex University, UK; Università Telematica Pegaso (Pegaso University) and the University of Siena, both in Italy; the University of Bergen, Norway; the University of Eastern Finland, Finland; the University of Gothenburg, Sweden; and Philipps-Universität Marburg (Philips University Marburg) and Friedrich-Alexander-Universität Erlangen-Nürnberg (University of Erlangen-Nuremberg), both in Germany. Each day of the “International Staff Training Week” will focus on a specific theme such as cooperation and coordination between the attending universities, Erasmus Plus International Credit Mobility policies and procedures, capacity building in the field of higher education − with a focus on projects in Palestine led by Birzeit University − and the university’s internationalization efforts. In addition, representatives of faculties, centers, institutes, and units from Birzeit University − such as the External Academic Relations Office, the Innovation and Entrepreneurship Unit, the Palestine and Arabic Studies Program, the Office of Grants and Contracts, and the Project Management Unit − will outline their efforts and accomplishments in developing and advancing both Birzeit University’s community and the broader Palestinian society and discuss their endeavor to engage with similar faculties, units, and programs abroad.